It is sometimes quite remarkable that something as simple as candle fundraisers can be so profitable and rewarding! Selling scented and colored candles can be a really profitable fundraising idea! It is also a fundraiser that will work really well during certain times of the year. These are all times of the year when candles are bought and burnt. Candles are also burnt in 8 out of every 10 houses in the USA with similar statistics being found worldwide. So there is definitely a market for this great fundraising idea. Your first and most obvious step will be to find a quality candle supplier, or decide to make the candles yourself (quite easily doable). 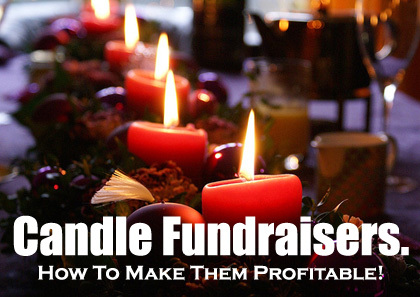 For American fundraisers I recommend you use Easy Fundraising Ideas' Candle Fundraiser. The more sales you make, the more funds that you will raise. And with certain fundraising companies like EFI, you can also increase your profit margins with more sales. So, it is extremely important to maximize your sales! 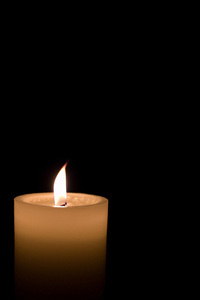 The first thing that will help maximize your candle sales is by ensuring that you sell quality candles. If you have poor quality candles, you will struggle to sell them! Get the word out about your candle fundraisers as much as you can, by informing supporters how, and with whom, they can order candles from. Advertise it on your website, and through your newsletters. Promote on all your Social Media Accounts. Both personal and your organizational accounts. Email and snail mail your past and present members/supporters. Use posters and have flyers to hand out. For more fantastic ideas on promoting your fundraisers, take a read here. Get some volunteers together... Your friends and family, or the kids in your school, and equip them to be your sales team! Provide them with a simple sales pitch using the words "help" and "because". Make sure that they smile and make eye contact when making a sale! Also get them to recommend a favorite candle. Provide them with the sales brochures provided by your candle company to take orders with, or with flyers that they can hand out to prospective customers. This is such a great way of encouraging a sales team to get out there and really make a huge effort to sell as many candles (or other products) as possible! Have some really cool prizes for the best sellers, or for sellers who sell over a certain amount of candles! Also consider having a small prize for everyone who helped sell as a token of your appreciation for their help. This will encourage them to help out again for your next fundraiser! I learnt loads about fundraising sales through Let's Raise Money and I'd recommend you read it as well. If you can provide samples of your candles you will have a great tool for boosting your sales. By providing samples you can quite easily double your sales! There is nothing better than for a prospective customer to be able to see, touch and smell the candles you are trying to sell to them. So, if you have a bit of a fundraising budget to start off with, order samples for each of your sales members. Make sure you have samples for all the different fragrances in one type of candle. It is the smell of them that is the most important! When selling your candles you should always offer another, or a few other, fundraising products. If someone doesn't want to buy a candle, you may then be able to interest them in something else. Some good additional products to offer would be Cookie Dough, and Magazine Subscriptions. Grab a Free Fundraising Product Guide to see what product options you have, and what profits margins there are on those products. Another range of products you could add to your Candle Fundraiser is your Fundraising Apparel from your SSA Apparel Store. You should advertise and sell your candles at all your own events and at other local events like fete's and markets. Set up a stand with your samples and your brochures, and have a big sign that advertises what you are selling and what cause you are fundraising for. Also get your sales team to go around during the event, pitching people and taking orders! You should look to maximize your sales as much as possible. Advertise your candle fundraisers properly and make sure your sales team is fully prepared and motivated. Then offer samples and broaden your bottom line of income by offering other fundraising products as well. Good luck for your Candle Fundraisers!